Are you a person with great ideas? Or are you a person who is planning to start a startup? then, this is meant for you. Most of us will have a desire to own a company. But it takes a lot of effort to fulfill that dream. During the journey of life some people will fulfill their desire to become an entrepreneur and some not. Did you meet any one who succeeded in their startup? Have you ever thought about the secret behind their success? 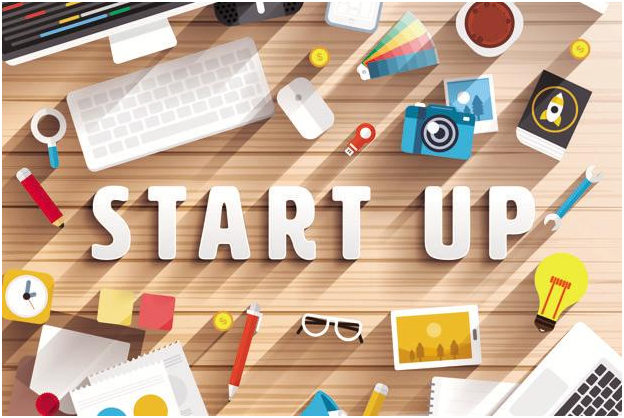 Here are some tips and tricks which help you to start a successful startup. Planning has an important role in business world. Before you do anything plan it very carefully andproperly. A best plan can avoid mistakes to a great extent and will help you to achieve what you want. Always try to make sure that your plans are realistic. Startups have a series of barriers to overcome and a good plan can help you to remove many of those. Before you start your business try to conduct a research on the area whereyou are going to work. Proper planning and research reduce uncertainties of procedures which you are going to follow in your startup. A proper research will help you to understand the current need of industry and the buying habits of customers. Markets and trend move out fast these days and it is really important to becoming the latest trend in the market. Unbiased information obtained from a good research can help an entrepreneur to build product or service which will meet client needs. Most of the people will setup good plan for their startup and will perform things according to that plan. But only a few will concentrate on the marketing side too. It is equally important to market your product or businessalong with setting up your business. Before you start a startup try to identify the best industry which fit for your talents and skills. The industry which matches with your ideas will give you more scope to grow. Likewise, before starting your company think about your customers also. Finding the right customers is the most important task of any business because customer is the main factor which leads your business to success as well as failure. So be careful about the industry and customers before setting up the things. When you start thinking about a startup the first step you have to do is try to identify the ideas which you have for startup will work or not. Not all ideas may be that much good. So, try to find out whether your idea can grow in to a big company or not. Think from various angles and then only make a final decision. A good and fresh idea can help your startup to get attention from people and it can make you as well as your organization grow well. Before your step-in to the world of business try to understand well about others who are there in the current market. It is good to find out what is lacking in them and what makes you different from them. If possible, make a list of competitors and analyze their working pattern. So, you can plan accordingly for your business. Make yourself competitive when you start your business. In order to start a business, you should have a strong capital with you. So when you make business plans try to think about this also. Try to identify from where you will get necessary fund or think whether you need a loan or not. Making a good strategy for investment will help you to avoid last time financial needs. Donâ€™t forget the fact that money matters! Before you start your business try to get advices from the people who already succeed in their business. They can guide you through right path and that will reduce the chances of failures in your business. Good entrepreneurs can help you to form business strategies that help you to grow the business. So, donâ€™t hesitate to reach out people for help and advice. Naming your business is a stressful process but name of your startup plays an important role in your business growth. When you choose a name for your business it should be attractive at the same time it should be related to the industry in which you are going work. Employees are backbone of any business. When you select people for your work make sure that they have desired skills and they have interest to learn new things. Make sure that your employees have good moral values along with the technical skills. A group of dedicated and hardworking people can make your business grow faster. When you make any business plan try to make an alternative plan too. Because in corporate field chances of occurrence of failures are not less.SO, it is your duty to make sure that nothing will affect the growth of your company. Backup plans will help you to avoid failures to a great extent. When you start a new business make sure that you are doing all things legally correct. It can be purchasing licenses or making agreements etc. whatever it may be try to do all the procedures in the way in which law orders and try to get advices from a legal person if needed. Only planning and arranging the things will not do, the most important thing which you have to do when you start a business is work! So, Dream big! Work hard!